Home » Blog » Is “niche selection” the most important thing for your site’s SEO success? I wanted to write this post because I’ve noticed a few things over the course of my career. 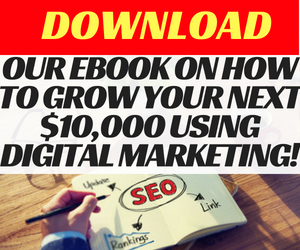 There is the hard slog with doing SEO, which is usually trying to rank challenging keywords that are highly competitive in order to gain a share of the organic search market. And then there’s going for those niches where the competition isn’t as intense, but is still lucrative and can allow a site to rank for those competitive keywords that everyone is after. I look at what my wife has achieved with no SEO experience, yet her site Bemyhairmodel.com ranks on the first page for keywords such as ‘free haircuts’ with a semi-optimised website. I have had success ranking keywords such as ‘self-storage’ or ‘cheap holidays’, but the methods and tactics to get results were very difficult. Lately, I’ve been focusing more on affiliate marketing, which is where the original SEO experts began to flourish. As I delve deeper into affiliate and performance marketing, it is clear to see the significance of selecting the right niche and keywords from the outset. Choosing the wrong niche market can position you to lose before you even begin doing any SEO activity. 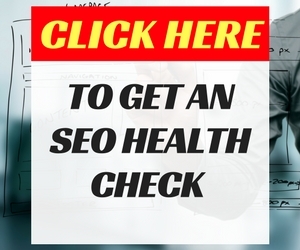 I want you to take away a few very important points before you begin implementing any kind of SEO campaign. This is critical to your success. In SEO, we talk about your product, service or content needing a unique value proposition. But this can only come about if you know the market that you are targeting. And in order to break through the noise of what is out there, you need a micro-niche market. Are there specific angles that you can focus on? Or are there certain groups that you will specifically appeal to. Gourmet vegan cheese recipes for single guys. Fitness watches for 100m sprinting athletes that want to run 10s. Fashion styling tips for black men aged 30-40 years old. Whatever the niche may be, drill down to see if you can identify a micro-niche market. Make sure the market is scalable. I personally prefer to work with markets that have the ability to scale to 10,000+ customers. (I prefer a commerce model, however if you engage in an advertising or affiliate model, you will need to revise the figures). Once I know the market is scalable, I can then find and reach out to those websites where those people in the market exist. Conduct research to validate if people are searching for topics related to your market. Many SEOs only use the Google Keyword Planner to conduct their keyword research. However, it is essential to go above and beyond to identify those keywords and topics that people are actually interested in. You can conduct searches on Google and see what is being provided in the suggestions at the bottom of the page. Additionally, you can conduct searches across blogs and forums to see what the most popular topics are. Create a list of those topics and then publish content that is the same or similar. But make sure it gives the market exactly what they are after. Why do I stress the need to select the right niche market? 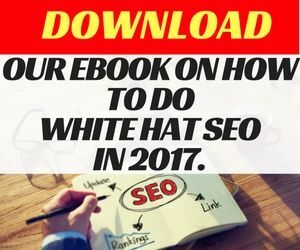 Because I know from experience that it is easy to work on a campaign (especially a keyword campaign) and then actually get the SEO result only for the keyword not to generate traffic, leads or sales. We refer to these as vanity keywords, which are good for the portfolio, but don’t actually add any direct monetary value to the SEO campaign. There are cases where the keywords in the niche have already been validated. Then it is a case of getting the content ranked for those keywords. It is easier to make SEO gains by selecting the right niche market than choosing the wrong one and working hard towards a result that doesn’t provide a good ROI. Have you had any experience with niche selection or even identifying which keywords to go for in an SEO campaign? Share your experience with us below. I write to appreciate your blog! Though short it is succinct. Anybody selects a Niche depending on his/her personal choice of subject. Within that topic exploring what makes profitable and as you have rightly put “Scalability” is very essential. Added to that life of that Niche is equally important. Sustainability.Good effort. I offer to guest post in your site if you offer a chance. Thank you Rangan. I agree with you. The lifetime of a niche is important. I prefer evergreen niches. Although there are people that like to specialise in niches with short life cycles. For example, Hoverboards or fidget spinners.